Indian Railways disaster management institute to open on January 10. 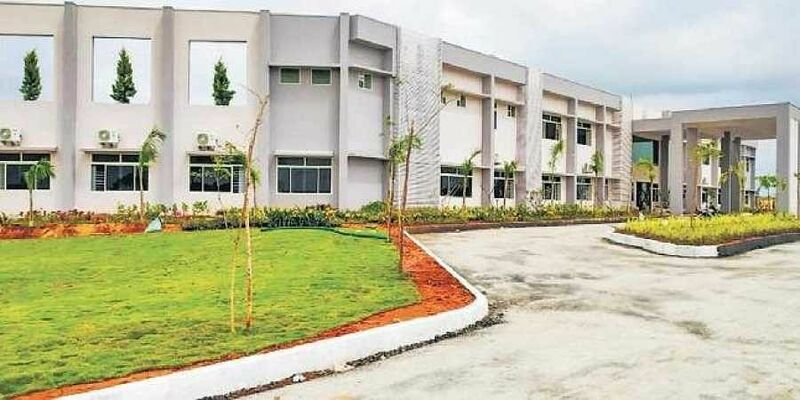 BENGALURU: A classy building with sophisticated training rooms and green surroundings has sprung up at Kanminike Village, 24 km from the city, and is set to play a crucial role in curbing train-related accidents across the country. The `45 crore Disaster Management Institute and Safety Village in Hejjala is the first such initiative by the Indian Railways. A senior Railway Board official will declare the institute open on January 10, 2019. The proposed unique Virtual Reality Centre, which will simulate real-life disasters, though, will have to wait. Built on 60 acres, the institute will train railway staff in responding using the right techniques when dealing with a train accident. The institute will play a crucial role in curbing train-related accidents in India. A top railway official told TNIE that the Administrative Block, with a posh auditorium, is complete. “Hydraulic cutters, expanders, inflatable air bags, re-railing devices, underwater cutting and gas cutting equipment are among the emergency tools bought here to train the staff,” he said. “A railway track connecting the Hejjala railway station with the institute is getting ready, on which a train with few coaches will run for training purposes,” the official said. A pond with a capacity of 6.5-feet has been created to replicate situations of trains falling into a river from a bridge above. A tunnel too is in place. A sports complex, gymnasium, and yoga and meditation centres are also in the works. Divisional railway manager of Bengaluru Division, R S Saxena, said, “A 140-tonne crane will be transported from Bengaluru to the Centre shortly.” This crane will help in lifting toppled train coaches. The Virtual Reality Centre, aimed at training staff to respond to emergency situations, is yet to make progress due to lack of expertise in this sector in the country. “We will place global tenders for it shortly. This might even take up to a year,” said another senior railway official. Two batches have already been trained as part of a trial run.